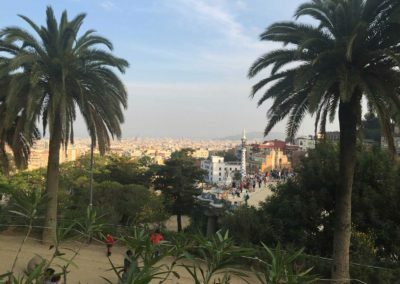 Best Places to Visit in Barcelona: Constructed between 1910 & 1914, Park Güell embraces the Gaudí’s natural & organic architectural elements. 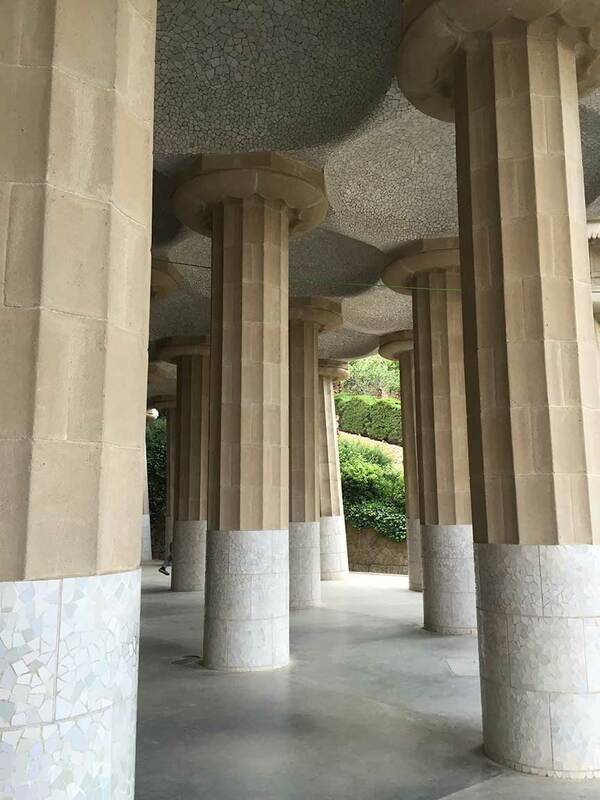 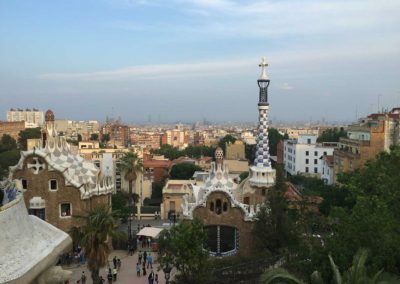 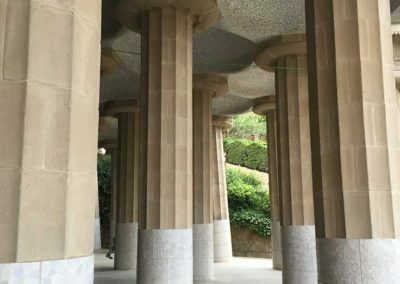 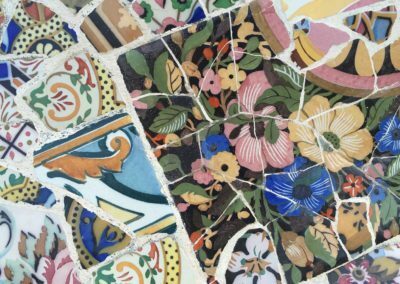 The original vision for Park Güell was to be a utopia featuring luxury homes, marketplace and community center for its residents. 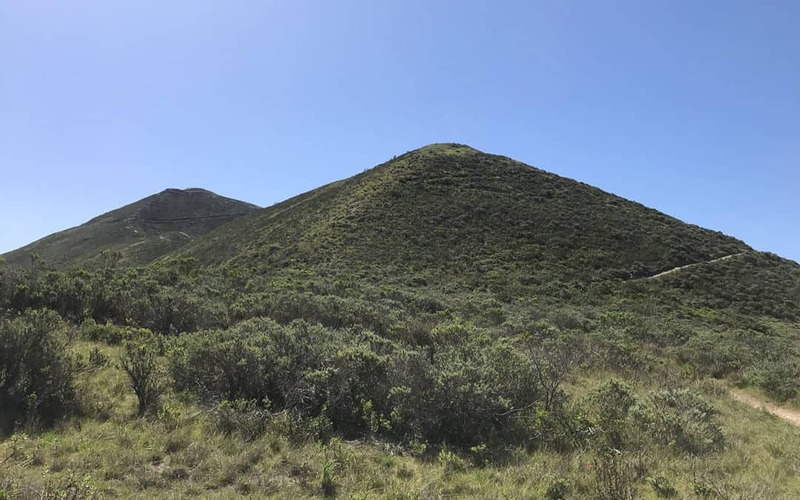 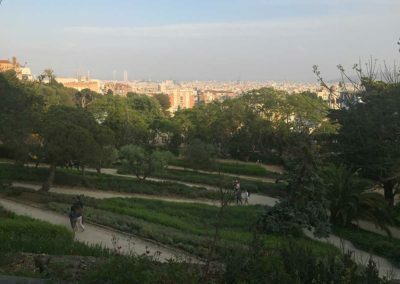 However, after only selling and developing two homes on the site, the park grounds transformed into a municipal park, which was recognized as a UNESCO world heritage site in 1984. 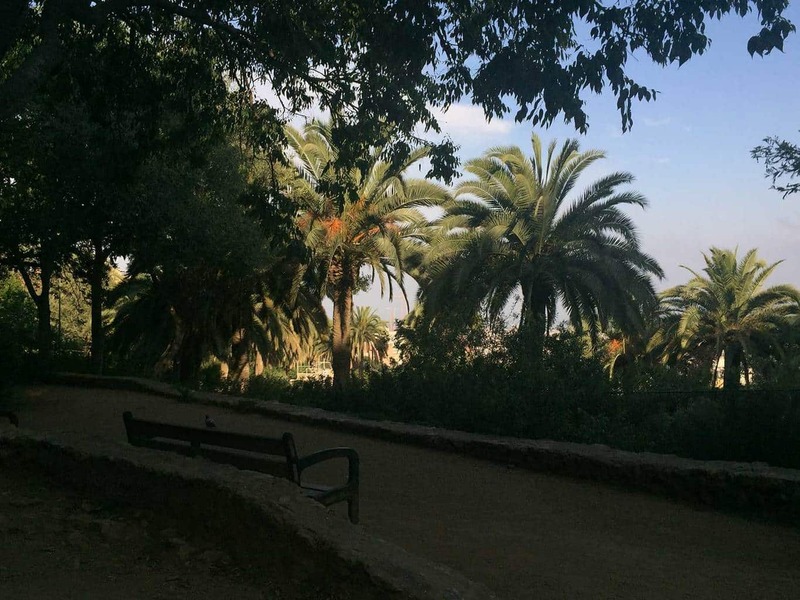 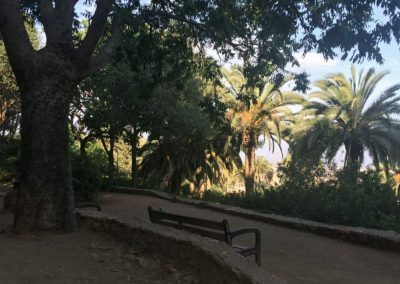 Today, the park is a perfect refuge for hikers to relax in the heart of Barcelona. 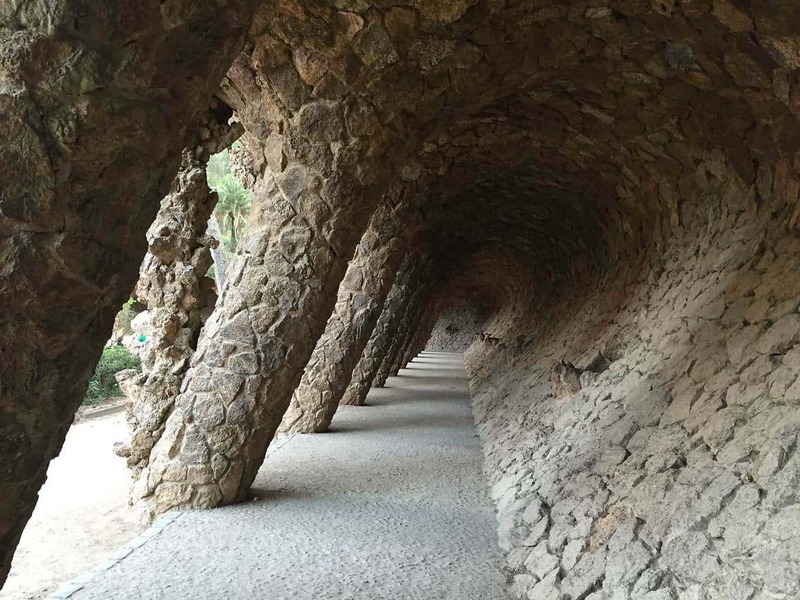 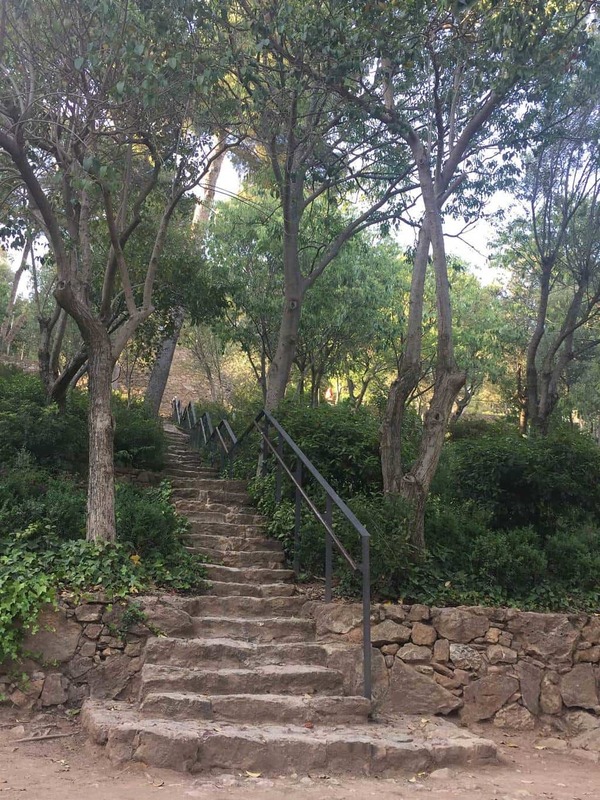 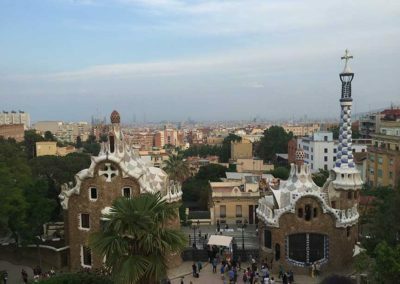 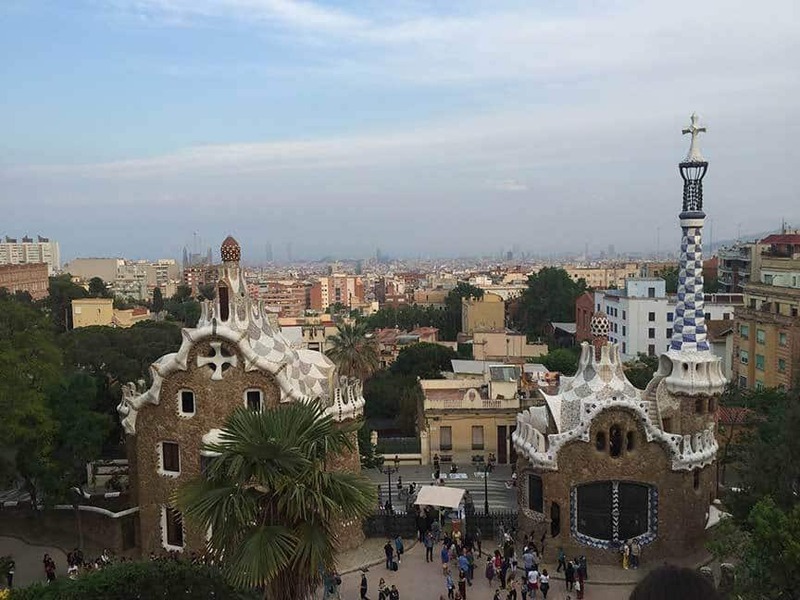 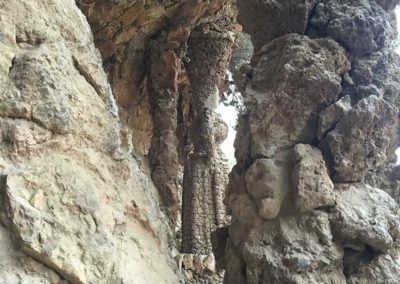 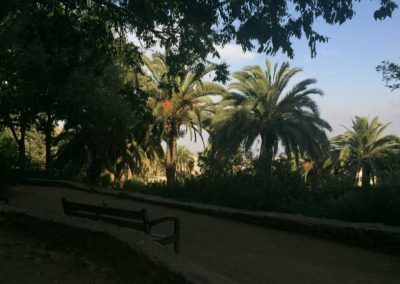 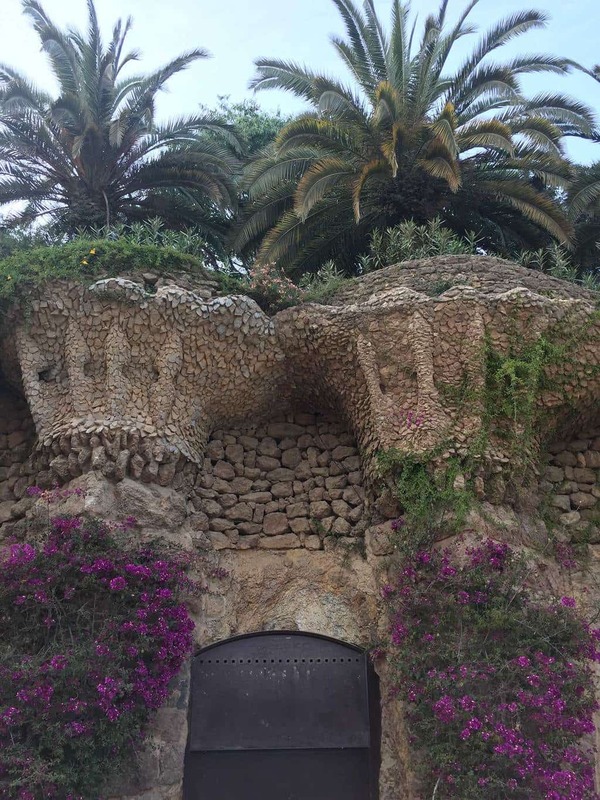 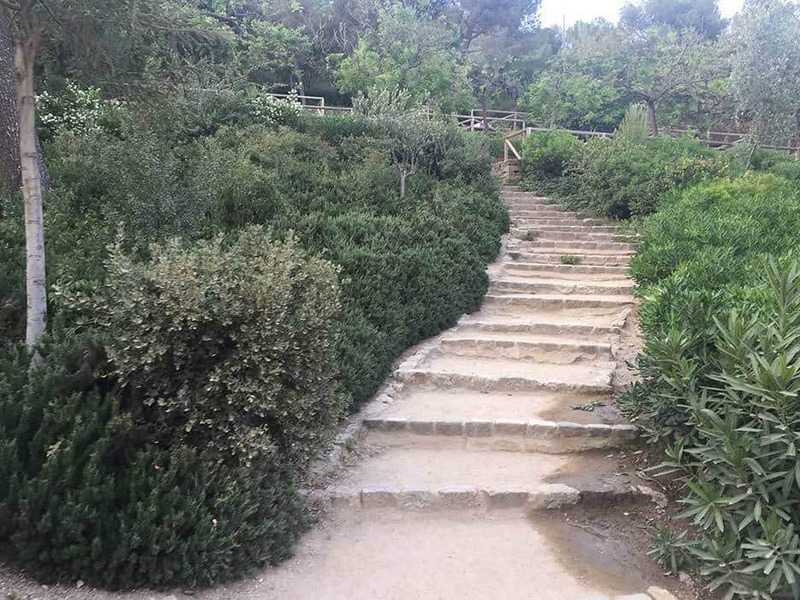 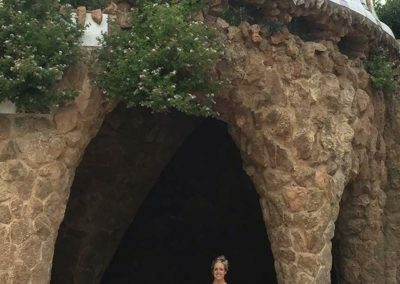 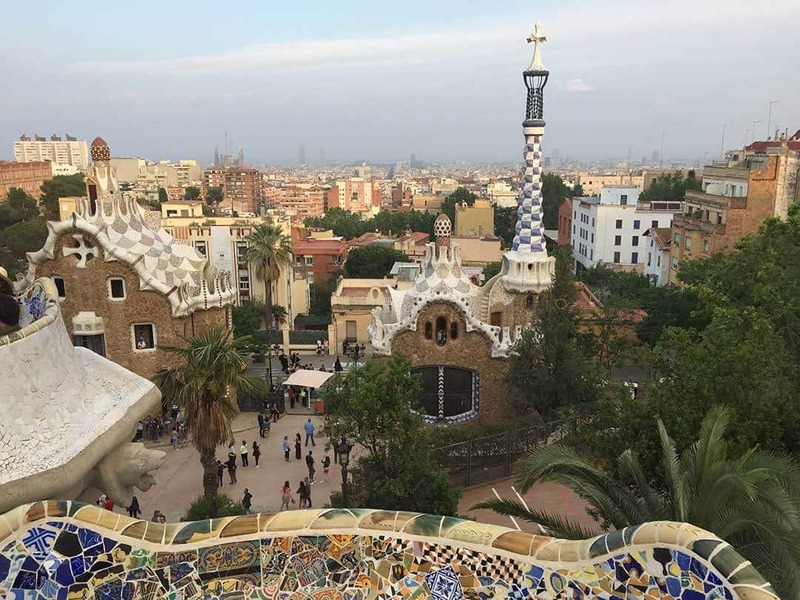 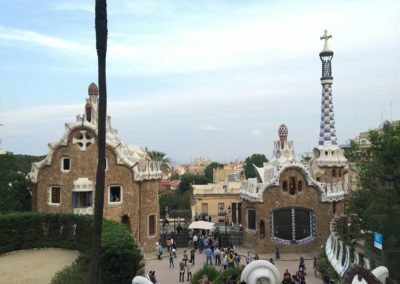 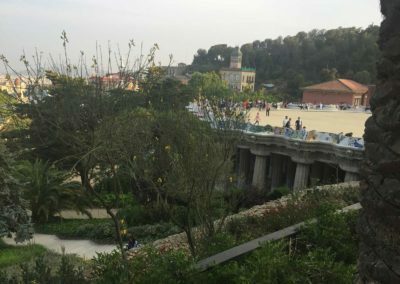 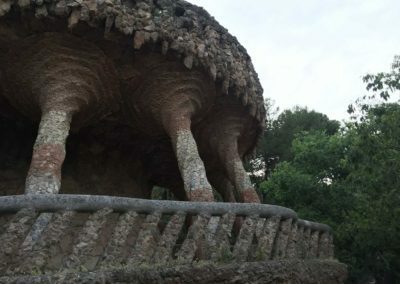 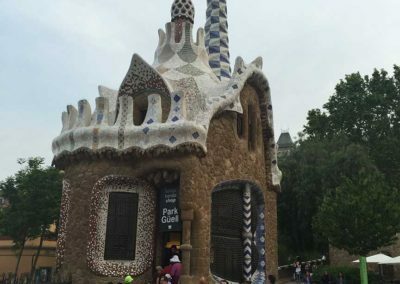 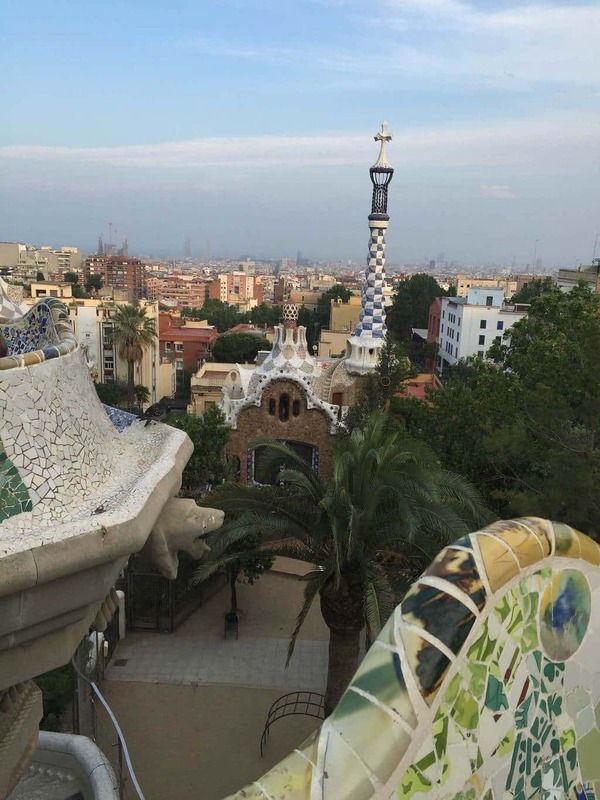 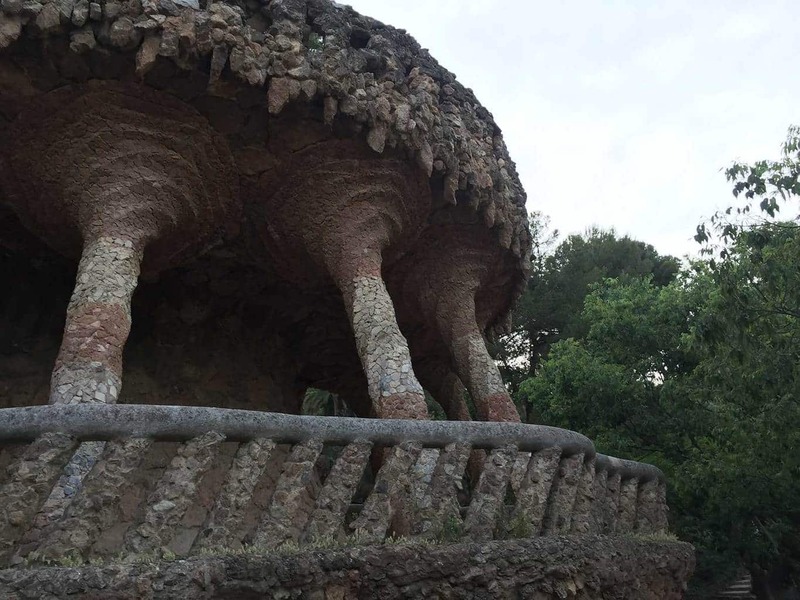 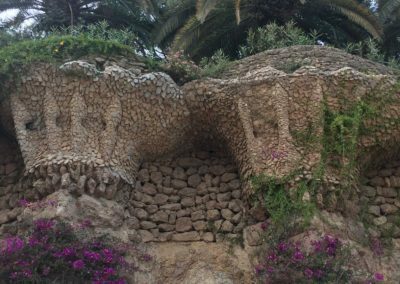 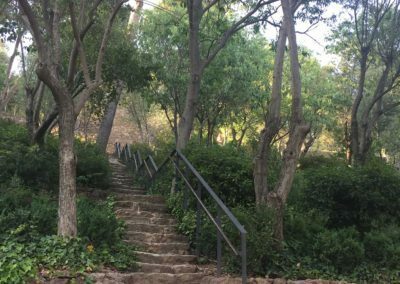 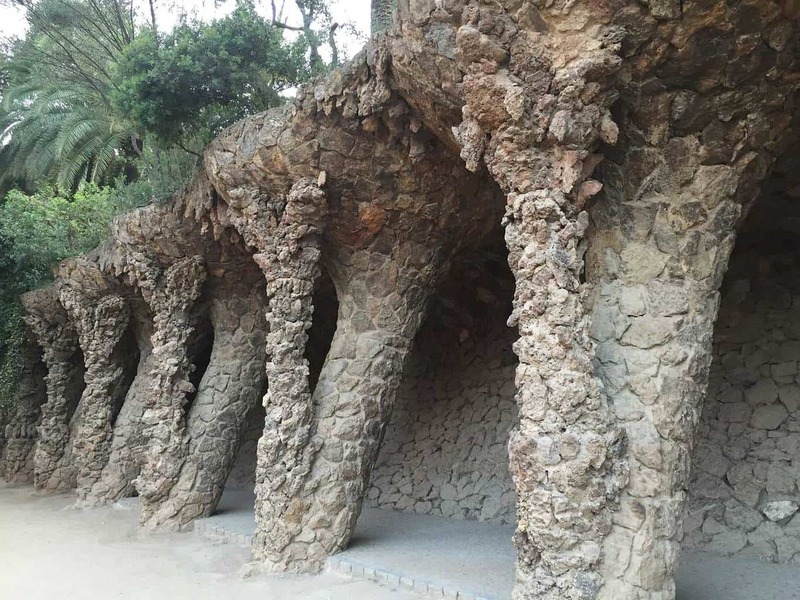 Unlike the Spain’s challenging Montserrat hiking trails, Park Güell features short dirt trails and paths that guide visitors throughout this interesting park. 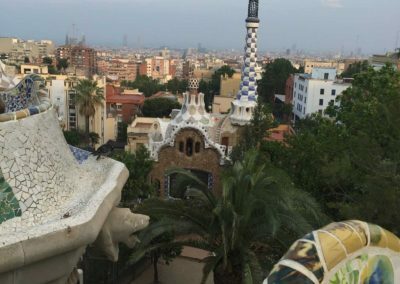 It’s the perfect place to admire Gaudí’s unique architecture and enjoy view’s of Barcelona’s urban horizon. 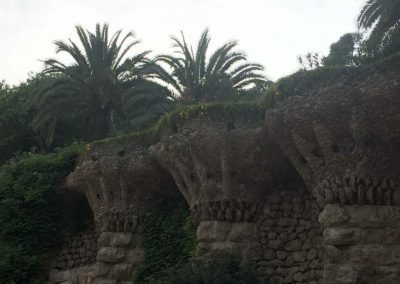 Gaudí lived in Park Güell from 1906 to 1926. 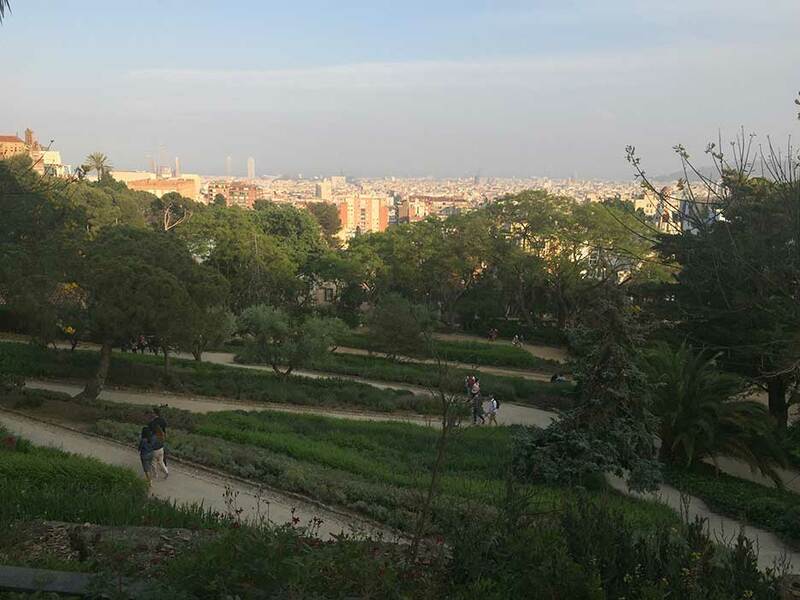 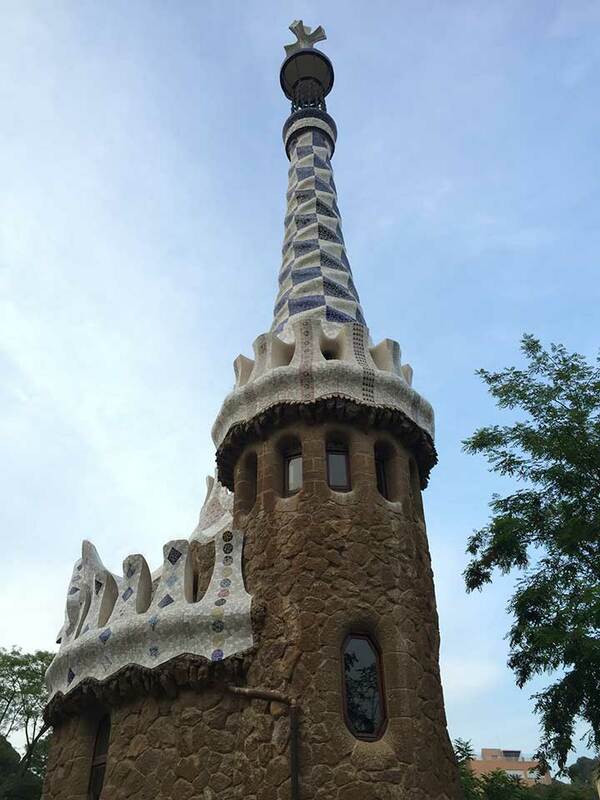 The park features panoramic views of Barcelona's city landscape, including Sagrada Família. 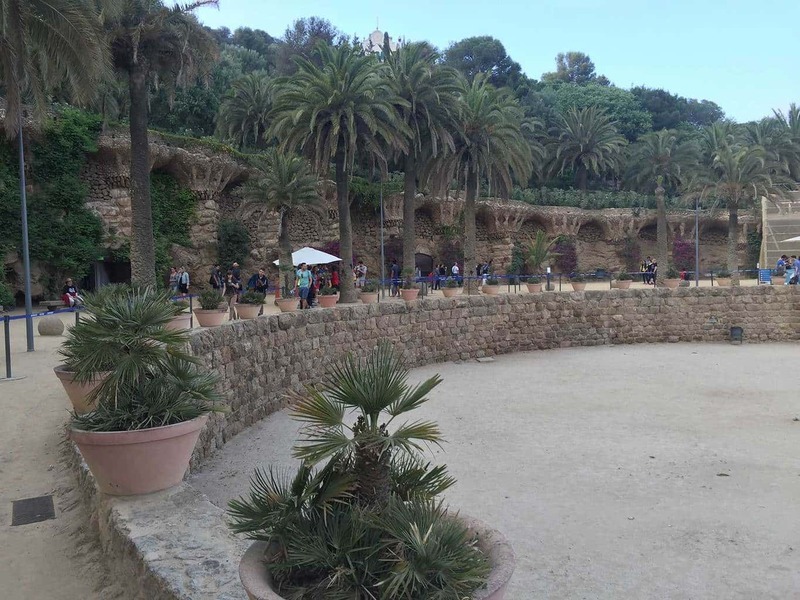 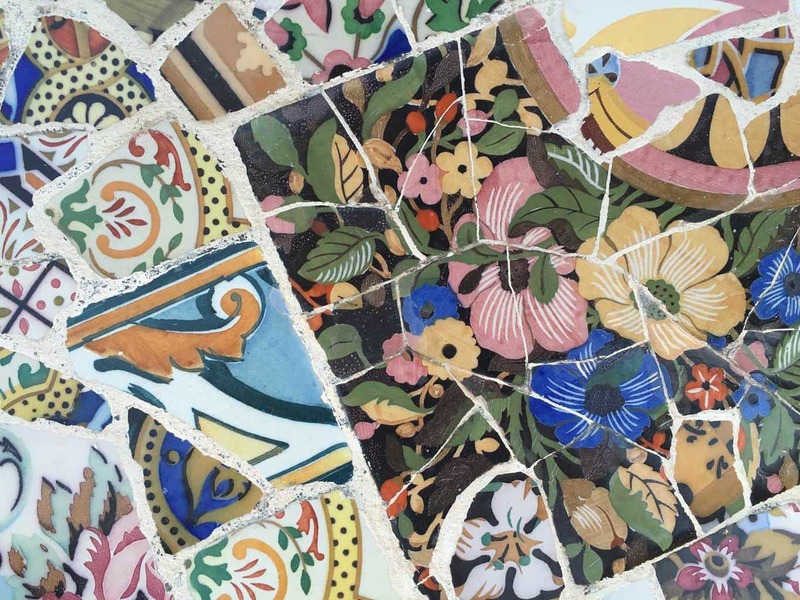 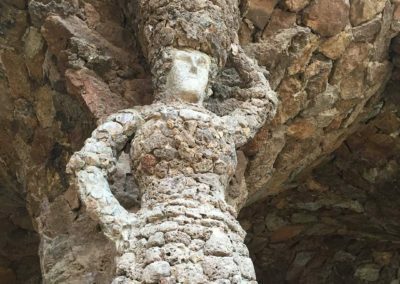 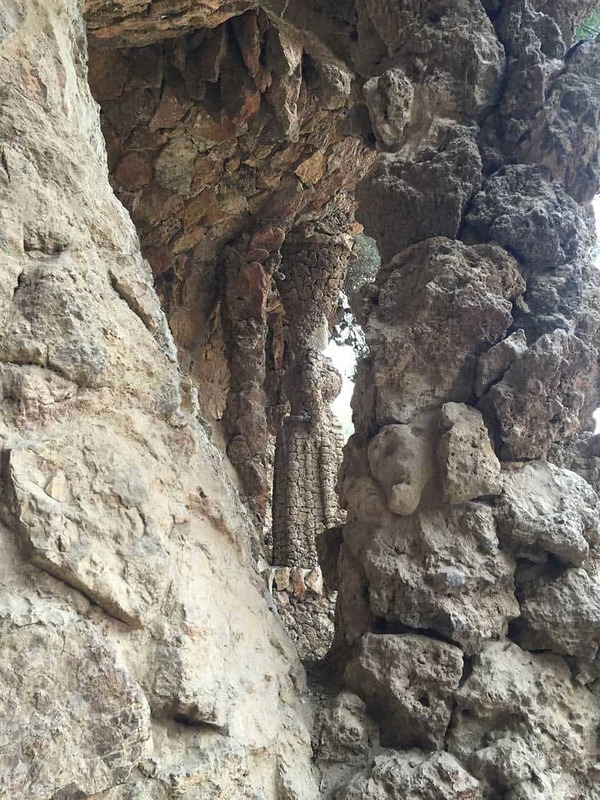 Year-Round: Park Guell is open to visitors year-round. 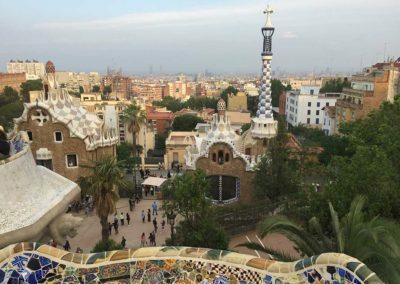 However, if you plan on visiting during the popular summer months, it’s recommended to go early in the AM or late in the evening. The park restricts the number of daily visitors. 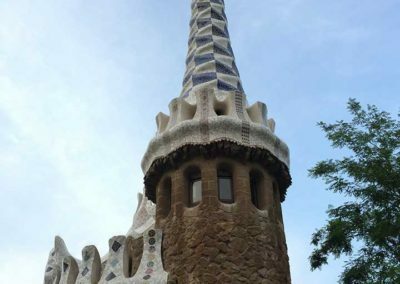 Admission tickets, can be purchased here online. 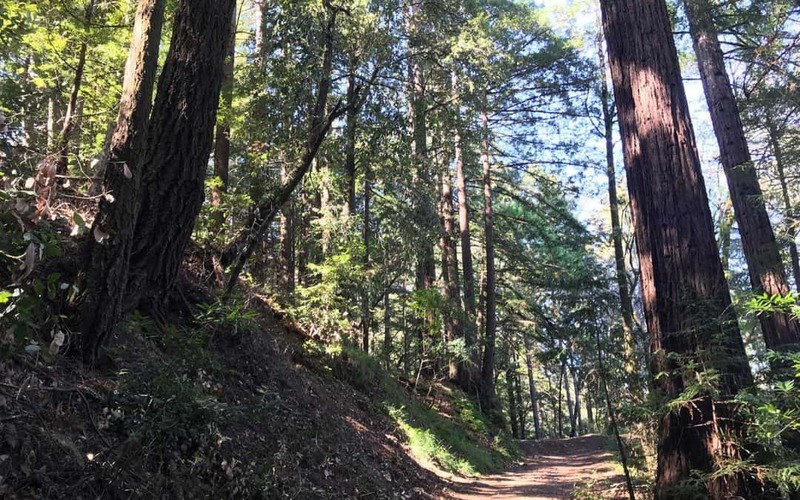 Yes, there are dog permitted areas within the park. 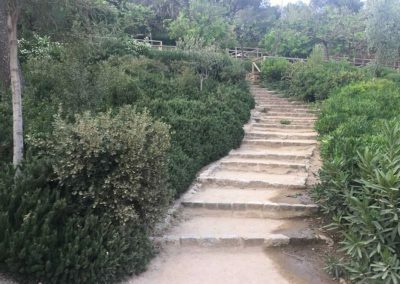 Dogs must be kept on leashes. 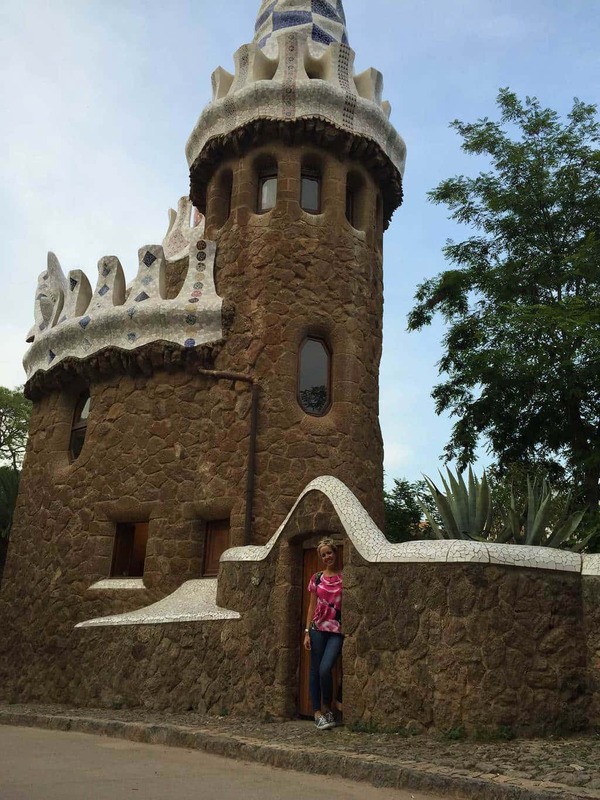 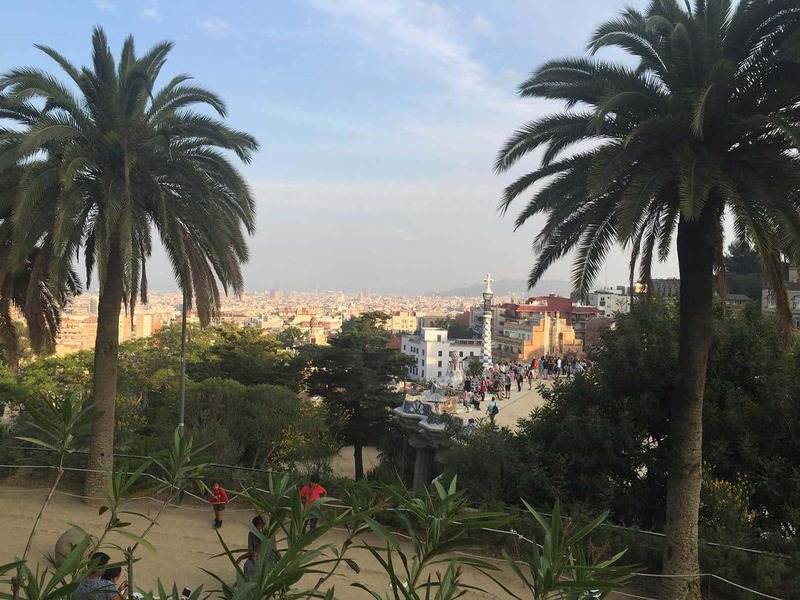 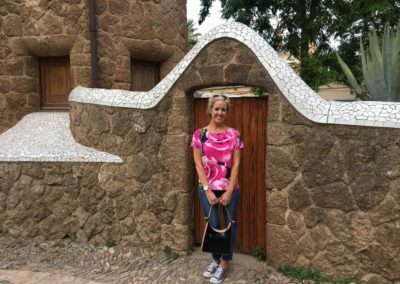 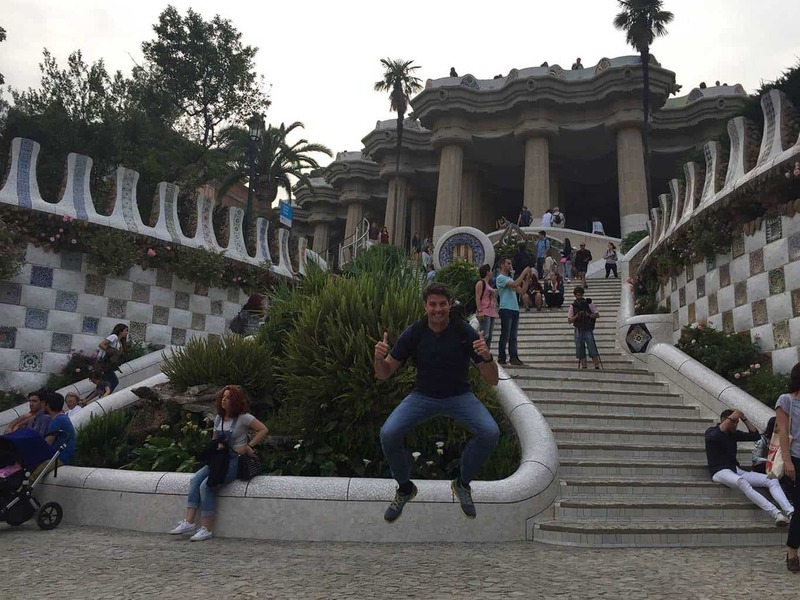 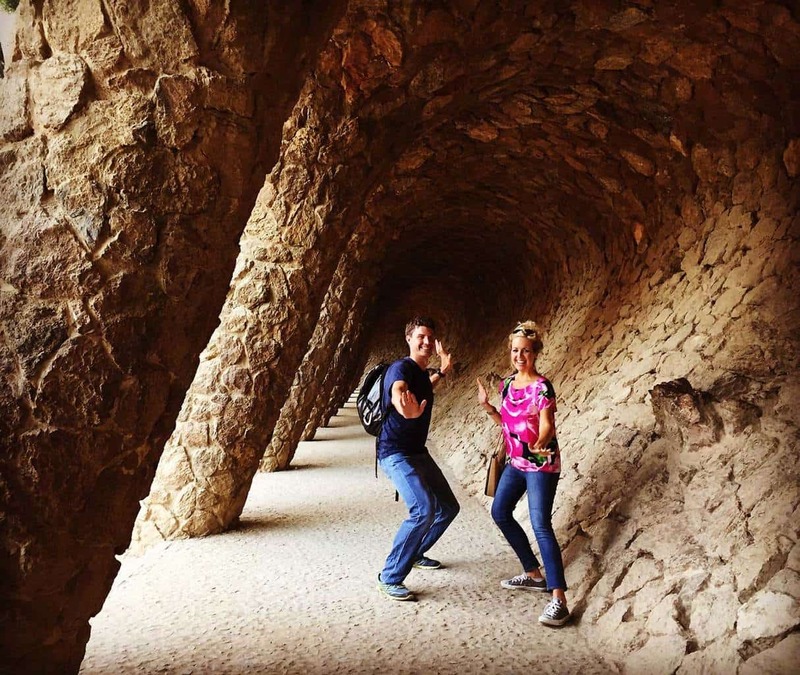 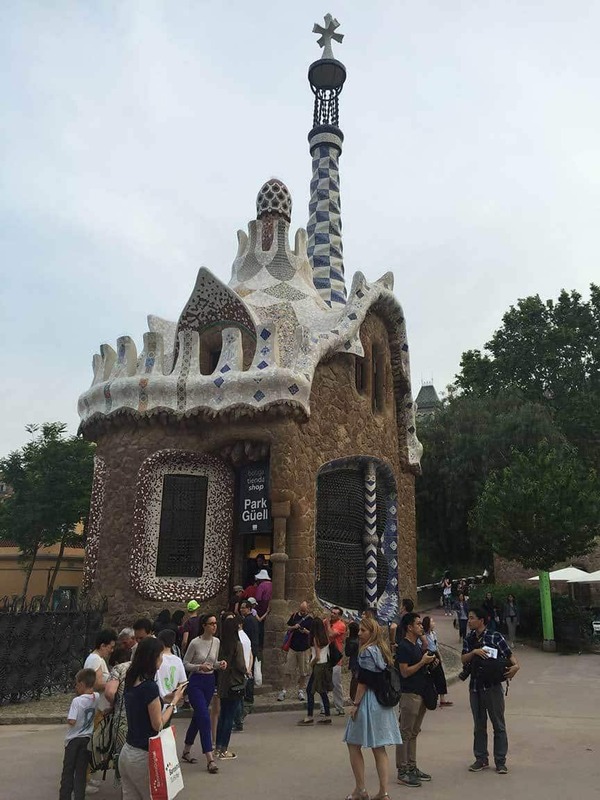 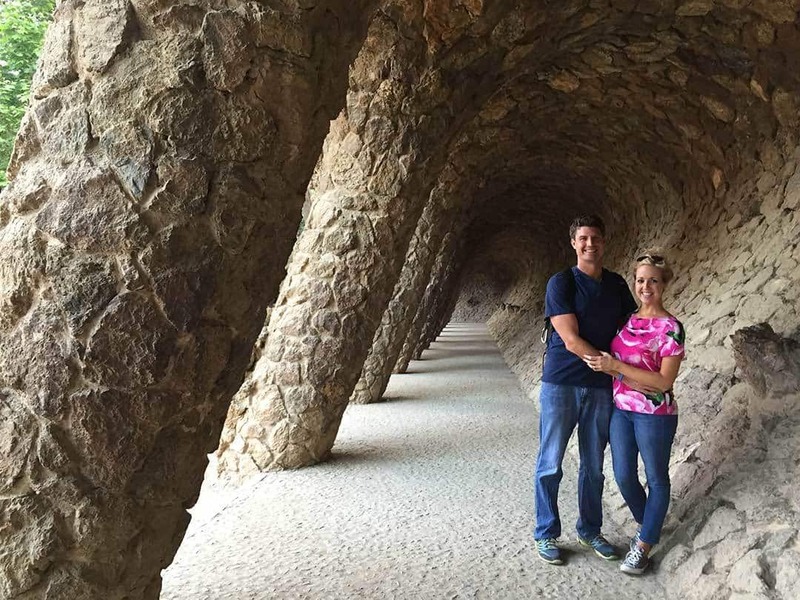 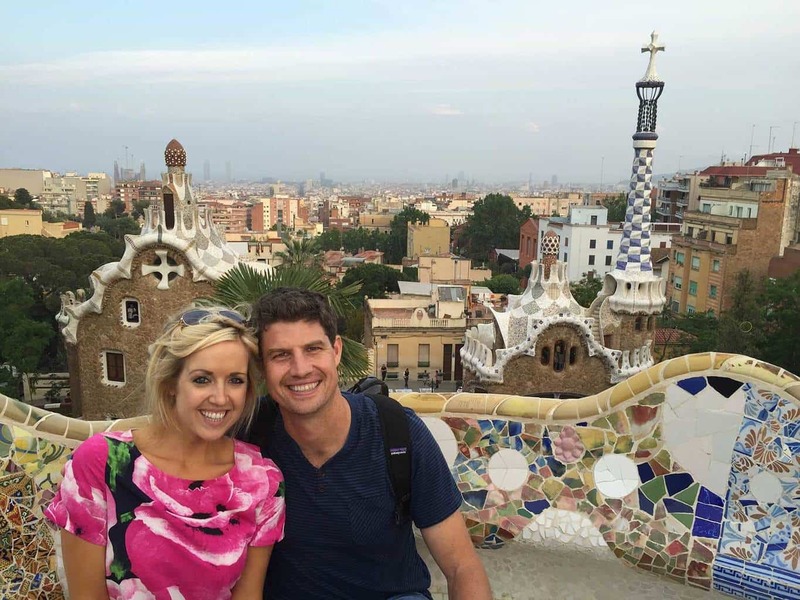 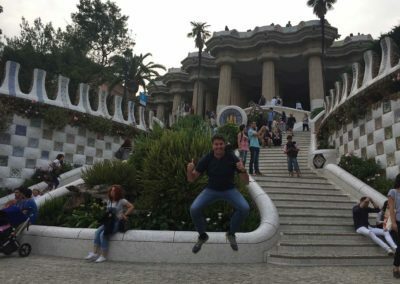 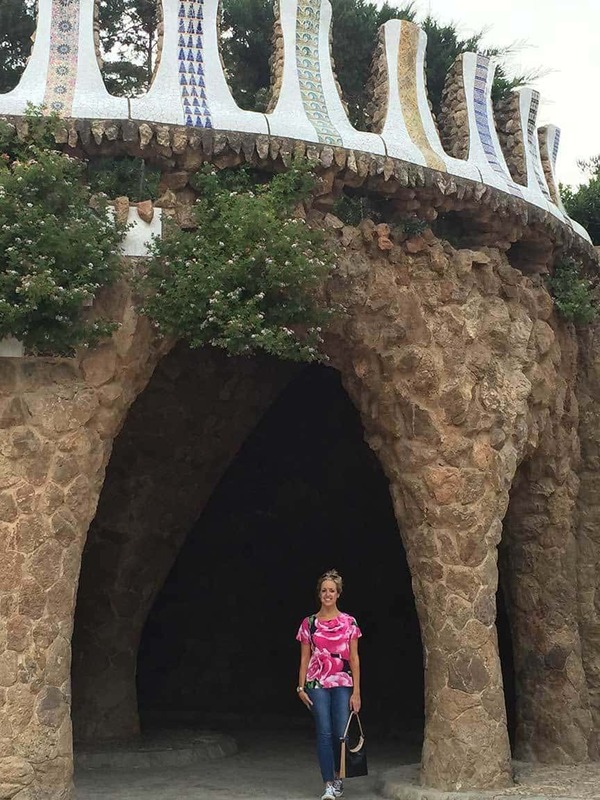 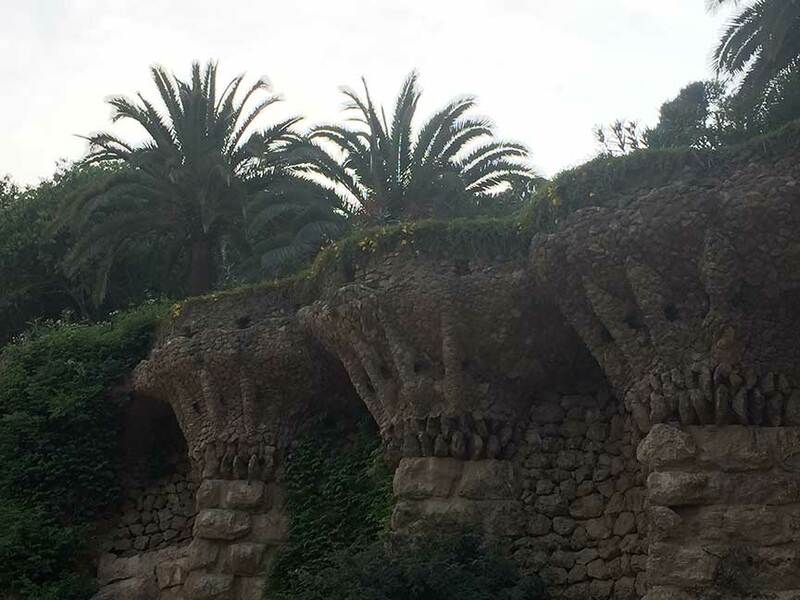 We had a blast exploring and relaxing at Park Güell. 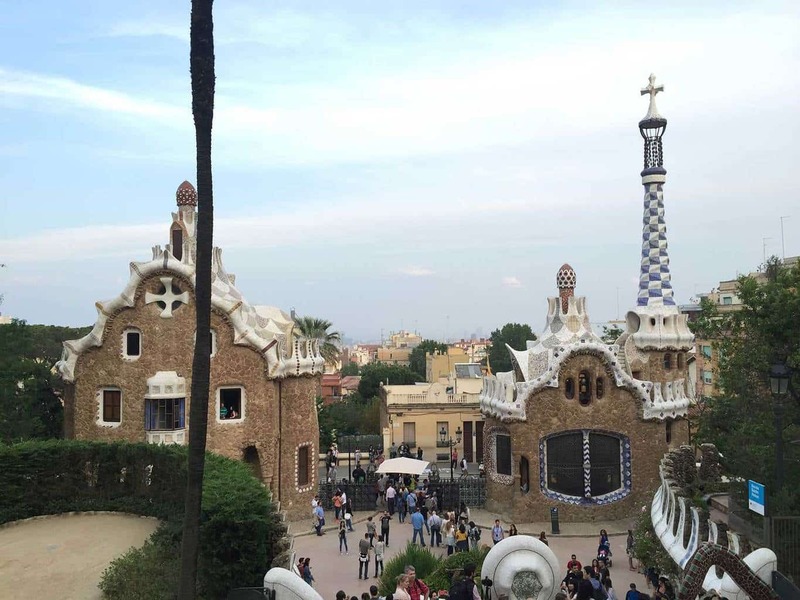 Since we didn’t purchase tickets online, we had to wait about 1-1.5 hours to enter the park. 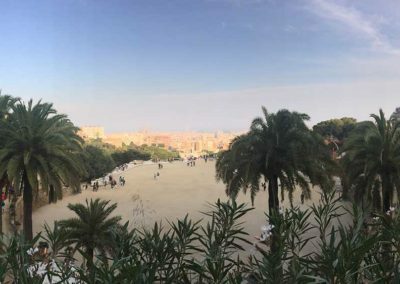 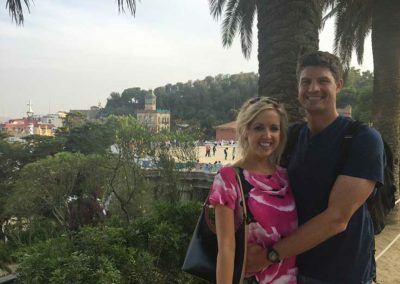 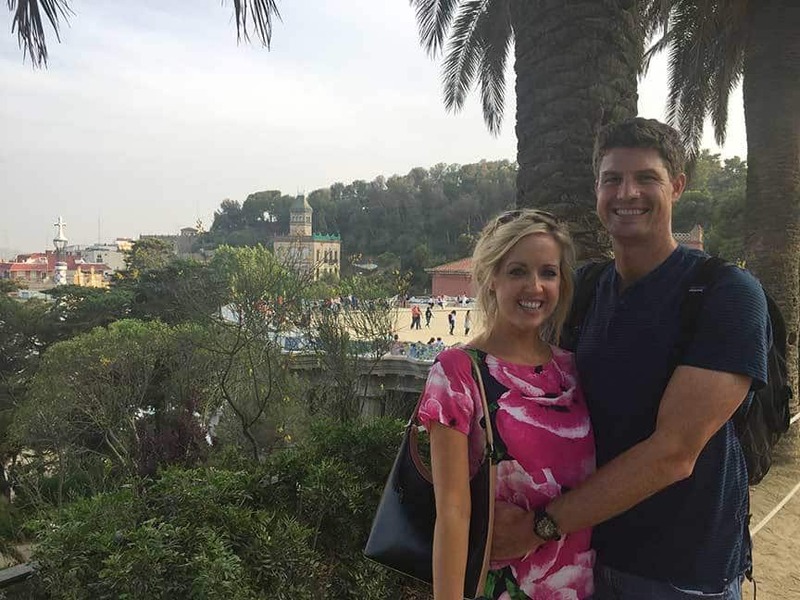 However, we had a relaxing picnic and enjoyed the scenic panoramic views of Barcelona as we waited. 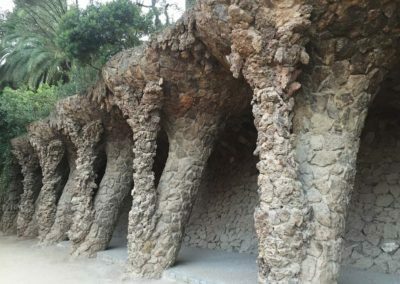 Once inside the park, there are plenty of interesting buildings and sculptures to explore. 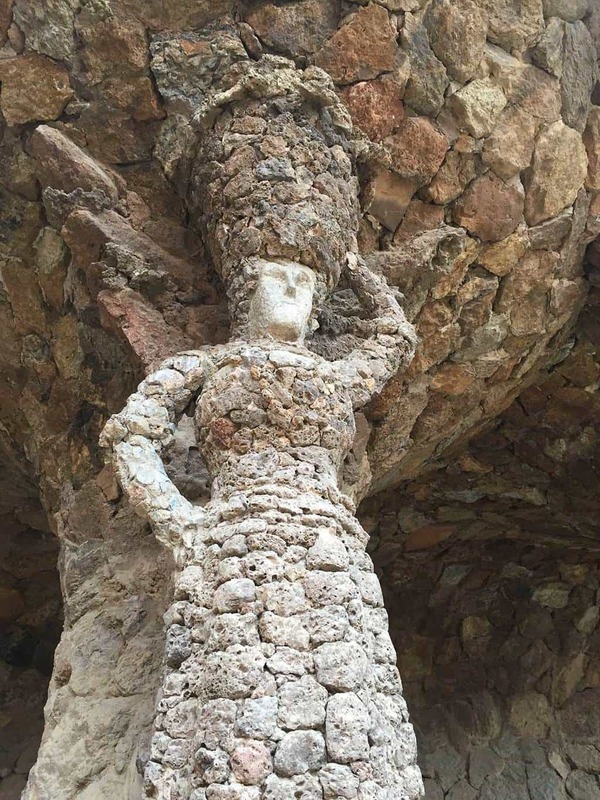 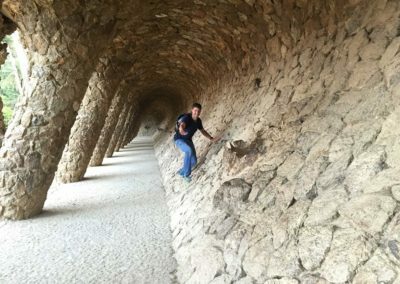 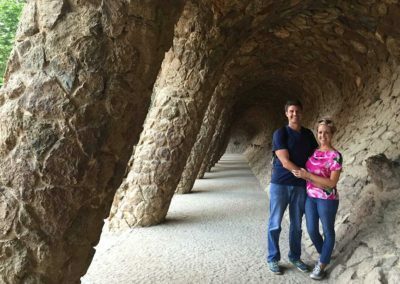 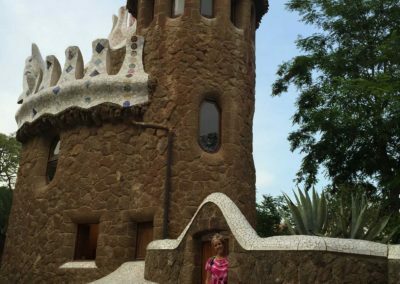 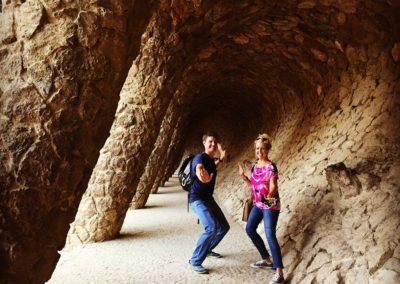 If you plan on visiting Barcelona and hiking around the city, we strongly recommend this adventure!